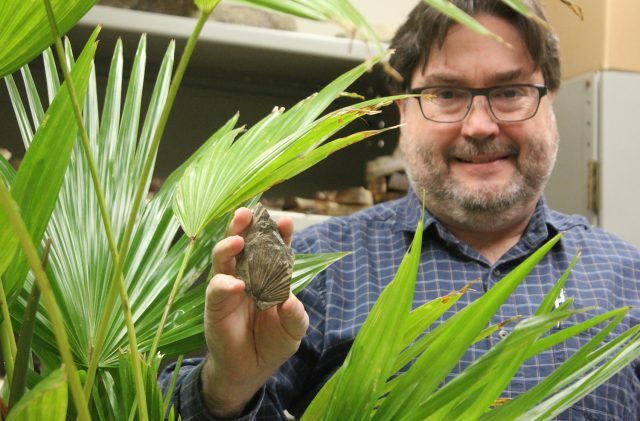 Dr. David Greenwood's research into palms is providing insight into climate change, past and present. 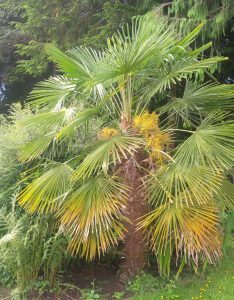 BRANDON – A research project conceived by a Brandon University (BU) professor on the northward spread of palms has been featured in the prestigious science journal Scientific Reports and on Columbia University’s Lamont Earth Institute State of the Planet blog. A windmill palm in Tofino, B.C., is pictured. Dr. David Greenwood of BU’s Department of Biology co-authored the paper with project leader Dr. Tammo Reichgelt of New-York based Columbia University and Greenwood’s PhD student, Christopher West, of the University of Saskatchewan. Found primarily in the tropics, palm trees can only become established in climates that don’t freeze. This sensitivity makes palm trees indicators of changing climates both in the remote past and the present day, where their progression north is made possible by increasing temperatures. The full research paper is open access and can be read at the Nature.com website. The State of the Planet feature can be found at: Blogs.EI.Columbia.edu/2018/03/19/Palm-Trees-Are-Spreading-Northward. Greenwood and West’s research is supported by the Natural Sciences and Engineering Research Council, through a Discovery Grant to Greenwood, and a scholarship to West.